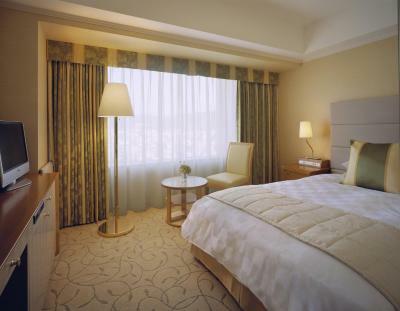 Lock in a great price for Kyoto Hotel Okura – rated 8.8 by recent guests! Excellent location, very good housekeeping, very helpful staff. All were very friendly, they made our stay perfect. 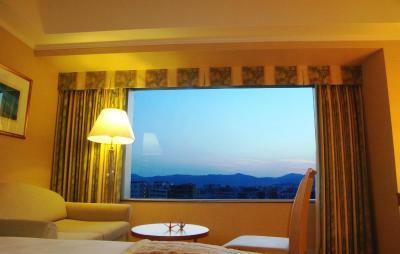 The room was capacious with a lovely view. Breakfast was very nice as well. 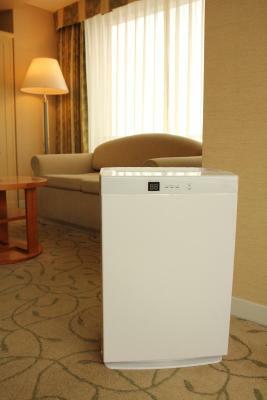 The room was relatively large, very clean, and the hotel is in a nice, busy area. 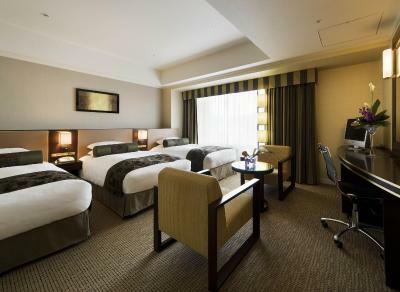 This hotel was very comfortable and a great location for touring around Tokyo (easy access via walking and close subway stops). Would definitely recommend to others! Great location. Amazing views from our room. 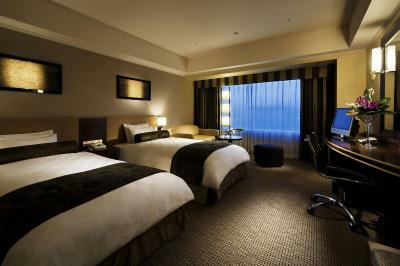 Large rooms unusual for Japan. Very helpful staff. The customer service at the hotel was amazing. The manager and concierge were extremely attentive and helpful. Upon check in, they immediately knew we were on our honeymoon, asked if we would like an upgrade and provided a map with the two reservations we requested them to make for us during our stay. The rooms were beautiful and the location was excellent. 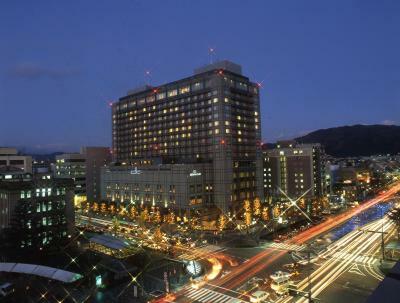 This hotel is right by the Gion District and there are delicious restaurants nearby. We loved our stay and Hotel Kyoto truly made our honeymoon so memorable! Excellent staff, good breakfast buffet(would have been better if included in room rate), concierge desk especially helpful with restaurant and tour recommendations. Very quaint restaurant area nearby. Note, food is expensive. Expect to spend $50 -$70 per person for dinner at a good (not upscale) restaurant. Beds were Super comfy and the bathroom was absolutely huge! We paid the little bit extra to have an executive room and it was worth it, views were great :) The free shuttle bus was also an added bonus from the train station! 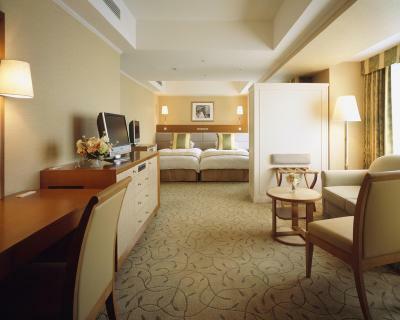 Kyoto Hotel Okura This rating is a reflection of how the property compares to the industry standard when it comes to price, facilities and services available. It's based on a self-evaluation by the property. Use this rating to help choose your stay! Hotel Okura's elegant rooms boast spectacular views of Kyoto against the backdrop of the Higashiyama Mountains. 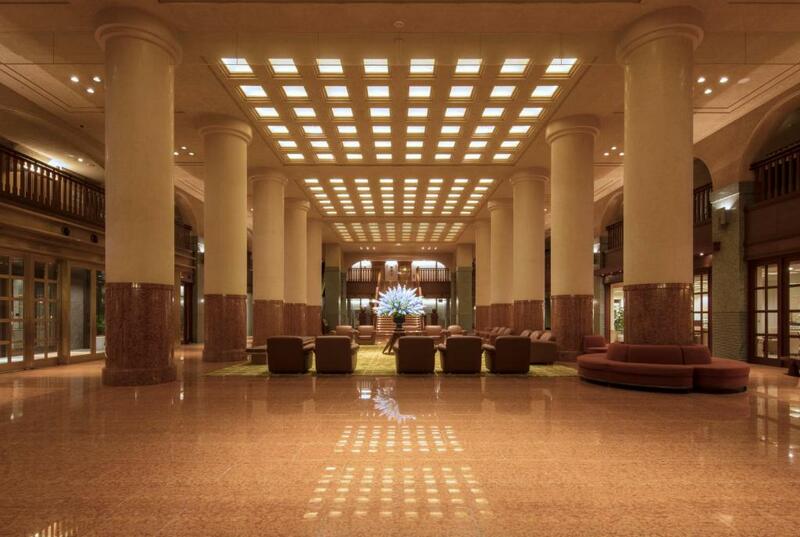 In the heart of the city, the hotel treats its guests to a shopping avenue, free Wi-Fi at the lobby and concierge services. Beauty treatments and baby-sitting services are available. 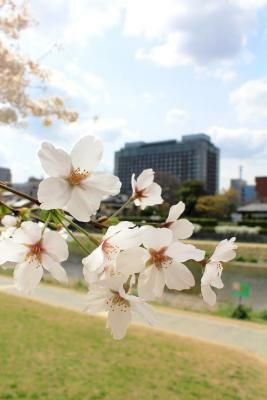 Connected to the Shiyakusho-mae Subway Station, Okura Hotel is a 5-minute walk from Honno-ji Temple, and a 10-minute walk from Kyoto International Manga Museum. 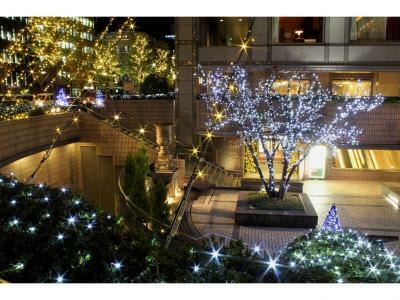 The Takashimaya department store in the shopping district of Shijo Kawaramachi is a 12-minute stroll away. Guests can browse a variety of boutiques at Shopping Avenue Comfort, which includes a hairdresser and a jewelry shop. 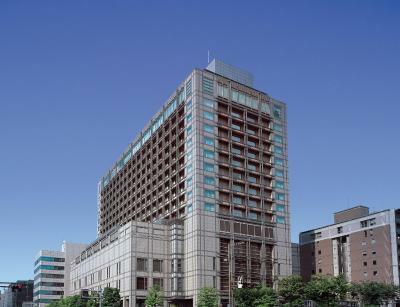 Okura Hotel offers a charged indoor swimming pool and free parking. A free shuttle and charged luggage delivery is provided to/from its Welcome Lounge at JR Kyoto Station. 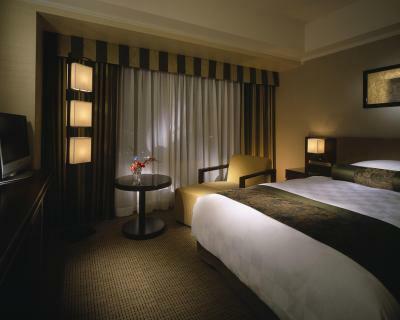 Luxurious rooms feature neutral colors, extra long beds, a flat-screen TV and a seating area. 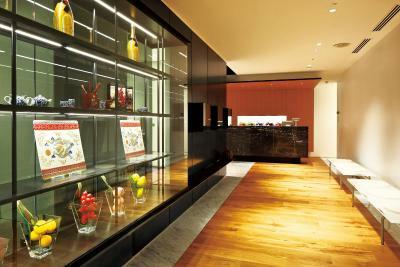 Guests can lounge in their yukata robe or bathrobe, with drinks from the mini-bar. Free high-speed wired internet is provided. Boasting panoramic mountain and city views, Sky Restaurant Pittoresque serves French cuisine and wines from its own wine cellar. Kyoto Hotel Okura houses a bakery and a variety of restaurants, including a top-floor buffet restaurant and Kyoto cuisine. 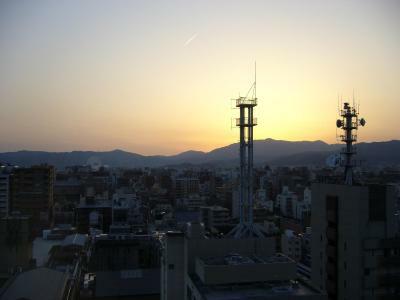 This property also has one of the top-rated locations in Kyoto! Guests are happier about it compared to other properties in the area. 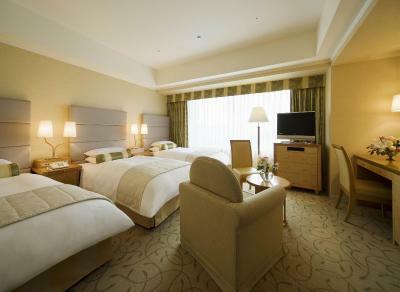 When would you like to stay at Kyoto Hotel Okura? 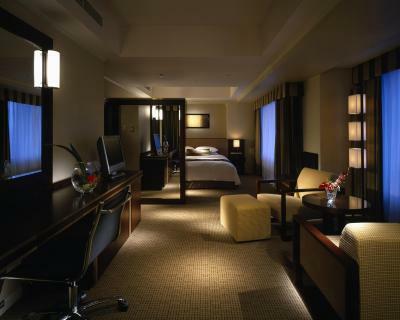 Luxurious room featuring neutral colors, extra long beds, a flat-screen TV and a seating area. 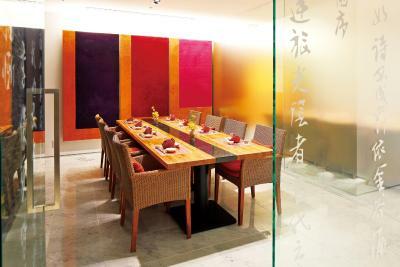 Guests can lounge in their yukata robe or bathrobe, with drinks from the mini-bar. 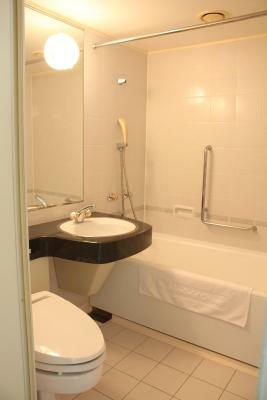 The bathroom comes with a bathtub and toiletries. Free high-speed wired internet is provided. Features city views. 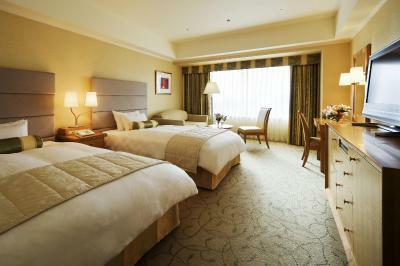 Luxurious room featuring neutral colors, extra long beds, a flat-screen TV and a seating area. Guests can lounge in their yukata robe or bathrobe, with drinks from the mini-bar. The bathroom comes with a walk-in shower, a bathtub and toiletries. Free high-speed wired internet is provided. This room comes with 2 single beds. 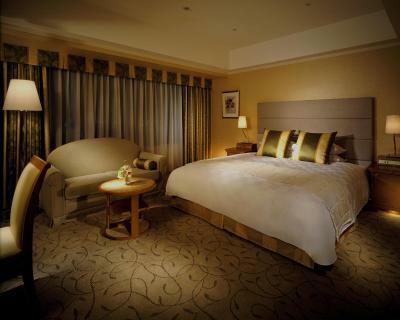 A 3rd guest can be accommodated in an extra bed. 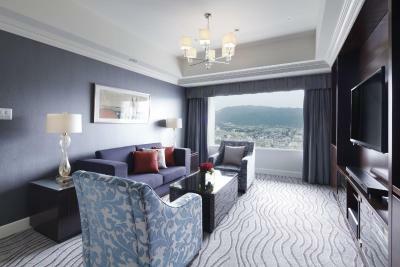 Luxurious corner room featuring neutral colors, extra long beds, a flat-screen TV and a seating area. 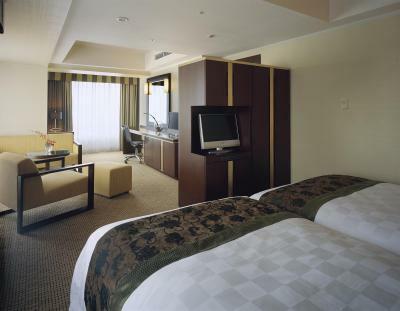 Guests can lounge in their yukata robe or bathrobe, with drinks from the mini-bar. The bathroom comes with a bathtub and toiletries. Free high-speed wired internet is provided. Features river views. 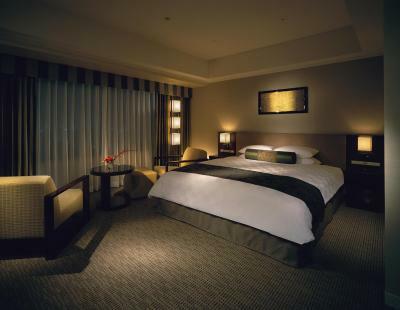 Luxurious room featuring neutral colors, extra long beds, a flat-screen TV and a seating area. Guests can lounge in their yukata robe or bathrobe, with drinks from the mini-bar. 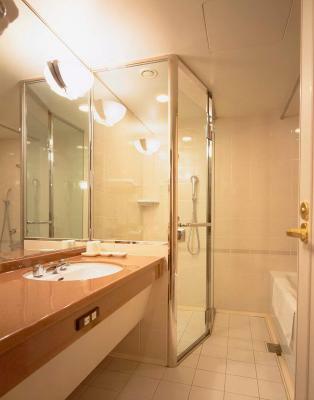 The bathroom comes with a walk-in shower, a bathtub and toiletries. Free high-speed wired internet is provided. A third guest can be accommodated on 1 extra bed. This twin room has a bathrobe, cable TV and electric kettle. 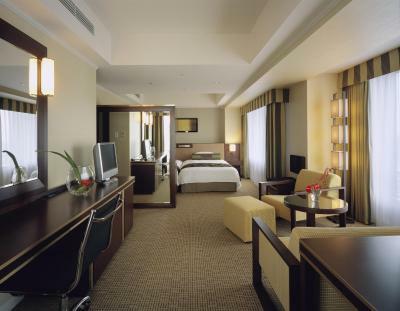 This double room features air conditioning, mini-bar and flat-screen TV. This single room has a mini-bar, satellite TV and electric kettle. This twin room features a bathrobe, satellite TV and mini-bar. This twin room has air conditioning, mini-bar and electric kettle. This double room features a flat-screen TV, mini-bar and electric kettle. This triple room features air conditioning, cable TV and mini-bar. This double room has air conditioning, flat-screen TV and bathrobe. This twin/double room features a mini-bar, air conditioning and electric kettle. This twin/double room has a electric kettle, bathrobe and mini-bar. 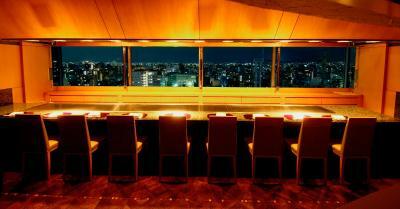 A supreme space to spend your hours in Kyoto. 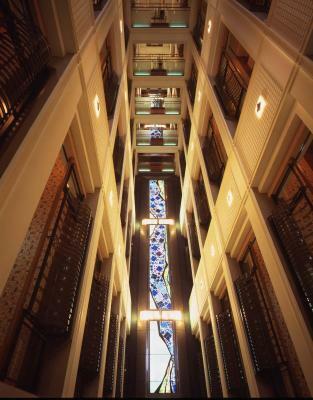 The hotel’s more than 120-year history generates a dignified atmosphere. Upgraded comfort is created alongside continuous innovation. Please enjoy the type of gorgeous moments that have attracted guests world-wide. Hotel surroundings – This neighborhood is a great choice for travelers interested in city walks, food and old-town exploration – Check location Excellent location – show map Guests loved walking around the neighborhood! 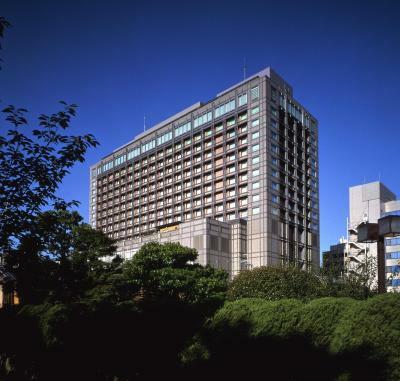 House Rules Kyoto Hotel Okura takes special requests – add in the next step! 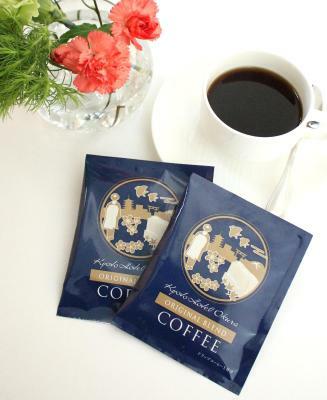 Kyoto Hotel Okura accepts these cards and reserves the right to temporarily hold an amount prior to arrival. 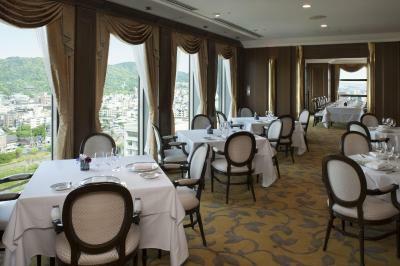 Please note that some of the hotel's restaurants have a dress code, and some do not allow children under 10 years old. The fitness center is accessible only for adults ages 18 and above. 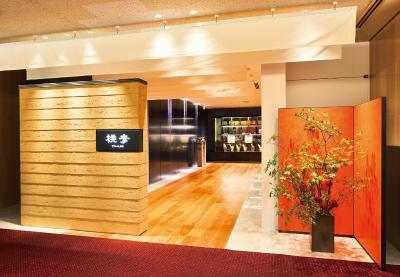 The hotel's Welcome Lounge at Kyoto Station is on the ground floor of the Cerema Building. It's open daily from 9 am until 6 pm, and accessible only to staying guests. - From the Welcome Lounge at Kyoto Station, the shuttle departs at the top (--:00) and bottom (--:30) of every hour between 9 am and 6 pm, except at 12:30 pm and 3 pm. - From Kyoto Hotel Okura, the shuttle departs at --:05 and --:35 every hour between 08:05 and 5:35 pm, except at 12:05 pm and 2:35 pm. Please note that the shuttle takes about 20-25 minutes, depending on traffic conditions. 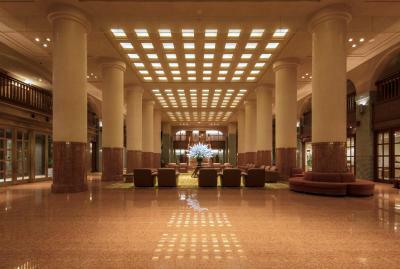 The staff will meet guests at the hotel lobby or the Welcome Lounge. The luggage delivery service operates as follows. Luggage received by 2 pm at the Welcome Lounge, will arrive at the hotel by 5 pm. 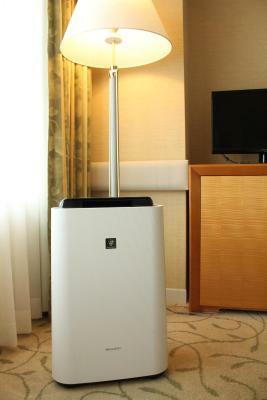 Luggage received by 11 am at the hotel, will arrive at the Welcome Lounge on a requested time between 2 pm and 6 pm. Arrived at 4 PM, and all the restaurants were fully booked. Nowhere to eat. Went to bar, beware off 600Yen "seating charge". Thus Margretta [good] cost me USD$20. Coffee service at breakfast buffet inadequate. Big line up for the only machine. No newsstand to get sundries, water, snacks. No vending machines. Full of tour groups. Hotel feels very eighties, complete with actual key on a heavy metal pendant. Only thing I really didn't appreciate is that whilst they advertise a nice swimming pool, they charge extortionate price for hotel guests to use it. To be honest, I cannot remember this happening anywhere else, and I would say I paid more than enough for the room to be asked to chip in for the swimming pool. Excellent quality breakfast, albeit some limited choices. Excellent views. Great view from the breakfast room! Bed like a rock. Over priced for what you get. Free Shuttle bus to the train station was handy. Welcome lounge at the station and shuttle: fantastic! It would be excellent if the hotel could offer a complementary drink in the cafe lounge for check-in guests. Propert was outdated, beds were incredibly uncomfortable. Not a five or even four star hotel. Staff were kind and attentive. Dowdy, old fashioned hotel. Uncomfortable bar with expensive cover charge. Staff extremely efficient and helpful. Nothing seemed like too much trouble. We loved the friendliness and helpfulness of the staff as well as the location. The room was a bit cramped and the hotel seems a bit dated. I took in a lot of noise from the street and they do need to change their key system. The elevators was super slow and i felt it was only one out of three that worked. Very friendly staff and accurate service. Nice location too.